Every sign of development is lacking in this harsh habitat of the Nuer, the second largest tribe in South Sudan. On the sun-baked plains around the swamp of the Nile there is no asphalt, no electricity, and no water. In a heat wave of over 40 degrees a strong wind rages over the bending reeds, the crumbling stone buildings, the wrecked four-wheel drive cars, and whistles through the windows of the school. This is the situation in the north of South Sudan, less than four years after the independence of the country. The new war had driven teacher Game Dock back to his hometown. He had always dreamt of going to college at the University of Juba. But when in December 2013 a dormant power conflict between President Salva Kiir and his former vice president Riëk Machar erupted, he had to flee the southern Sudanese capital. Dinka soldiers loyal to President Kiir killed thousands of Nuers, the population group to which vice-president Riëk belongs. The events of December 2013 opened a new phase in the tribal violence that for decades had South Sudan in its grip. 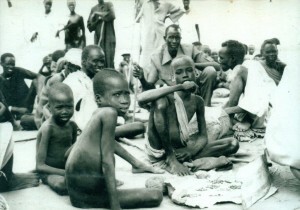 From 1983, the South Sudanese waged a war of independence against the Arabized northerners in present-day North Sudan. Until the peace accord in 2005, there were an estimated two million victims. 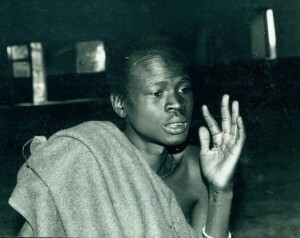 Even then most victims were a result of the deadly quarrels within the Southern Sudanese independence movement itself. After the 2005 peace deal South Sudanese spontaneously built hundreds of schools, hungry for knowledge after thirty years of war. “But because of the battle between Dinka’s and Nuers we have gone back to prehistoric times,” says Game Dock. I notice that compared to my first visit in 1989 the children these days no longer wear torn shirts but spot on a rich diversity of T-shirts bearing the emblems of English football clubs, or the South Sudanese flag. But most still walk barefoot. In the shops one can expect soap as in the old days, and buy soft drinks, but at a formidable price because traders have to trek for days with cargo on their heads, navigating through hostile and swampy territory. The mobile telephone mast, which at peace time became a symbol of better times, no longer functions. 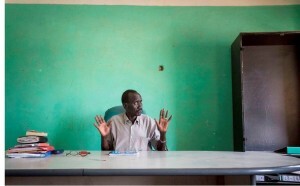 He began fighting in 1984 in the Sudan People’s Liberation Army (SPLA), and then he became a government soldier in 2005, but fled his barracks in Juba at the end of 2013 to join Riëks rebel army. That rebel army now recruits throughout Nuerland – sometimes by conscription. A boy of less than fourteen years takes a nap under a tree, supporting his rifle on his neck. Also underage youth have to go under arms, on both the government and the rebel side. Samuel Ngundeng shows the new uniform of the rebel army, which are many shades darker than that of the armed forces of Salva Kiir. “So there is no confusion on the battlefield,” he says. Two hours walk from Pilieny along a path over the parched black earth lays Leer, the hometown of Riëk Machar. Near this district capital a few new high thatched houses are being erected. After the devastation and killing more than a year ago, the population now feels a little safe, although the government army is less than a hundred kilometres away. The power struggle by the end of 2013 started a cycle of violence. 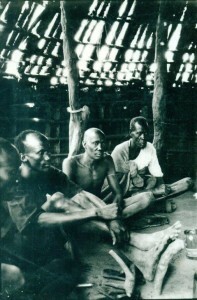 Nuers soldiers who felt cornered in the army, and thousands of youthful tribal fighters joined Riëk. These unruly warriors destroyed the town of Bor, an important town in Dinkaland, followed by the towns of Bentiu and Malakal which also went up in flames. In February 2014 a retaliatory attack was launched on the town of Leer, Riëks birthplace, by government forces. They even damaged the grave of his British wife Emma McClune. 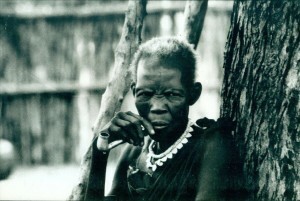 First came the warriors of a movement affiliated to Salva Kiir, the Justice and Equality Movement (Jem). This is a resistance group from Northern Sudan, with strong Muslim fundamentalist leanings. 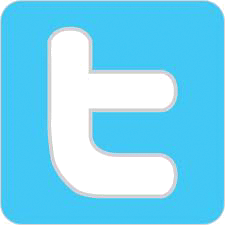 “We thought that priests and nuns would be safeguarded. Because the war with the Muslim North Sudan is over and most South Sudanese are Christians”, says a church leader with a sour face. “The Jem fighters wearing turbans on their heads shot indiscrimately at all citizens. Women, children, elderly, nuns, priests, we all came under fire from machine guns and heavy artillery. They spared no one. 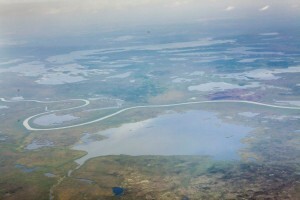 Therefore, we all ran to the marshes of the Nile for safety “. 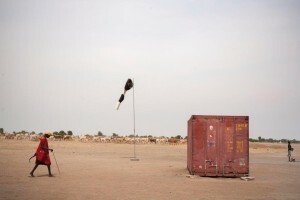 Under tall trees, on which fish eagles fight over a prey, the Dutch section of Medecins sans frontieres has been running a basic hospital for 27 years, the only one in the wide area. In the courtyard of the dingy buildings rests what could be saved: a delivery table and some crutches. Patients lie on mattresses on the floor. The attackers ransacked the hospital and set it ablaze. They did the same with the two churches of Leer, the compounds of foreign aid organizations, shops, and the few stone houses. After the evacuation of expatriates by plane was completed, Saadi Yoak on his thongs, accompanied by fifty patients, and taking along with him loads of supply of medical drips and tablets, made for the swamps under a hail of bullets. During the liberation war against North Sudan, he had walked hundreds of kilometres for months. “But this was the worst trip of my life,” he says. For over three months he lived on many different islands in the Nile, each time fleeing his pursuers with his patients.